At Toyota of N Charlotte, we love auto shows! All the shiny new cars, the news announcements, and the new car reveals. Every event is preceded by huge amounts of anticipation because of the mystery wrapped around these new vehicle releases. Tomorrow, Toyota is taking on the windy city and bringing its a-game to the Chicago Auto Show. At the Detroit Auto Show we saw the official reveal of the 2020 Toyota GR Supra and we were giddy with excitement. But tomorrow the Toyota press conference will be livestreamed from the Chicago Auto Show at eleven A.M. Before we tune into the livestream, Toyota of N Charlotte is here on what to expect from the Chicago Auto Show. Auto shows are the perfect time for car manufacturers to reveal new vehicles and concepts are coming down the pike. While the 2020 model year is beginning and we’ve seen some exciting reveals so far (i.e. the Toyota Supra), Toyota has teased some pretty interesting new material for a fan-favorite vehicle. The new Toyota Tacoma is slated to be revealed tomorrow during the press conference. So far, we’ve only been given a top-half front-end image of this N Charlotte new Toyota vehicle and a video showing power adjustable front seats, a first for this mid-size truck. It’s likely that a redesign is coming for this N Charlotte Toyota vehicle. But we have another reveal to be really excited for. Yesterday, Toyota released a short video teaser detailing a new TRD off-roading vehicle. At Toyota of N Charlotte, we can’t exactly say what vehicle the teaser is showing us, only that it’s an off-roading capable vehicle joining the Toyota lineup. Currently, there are TRD off-roading capable editions for the new Toyota Tundra, Tacoma, and 4Runner. 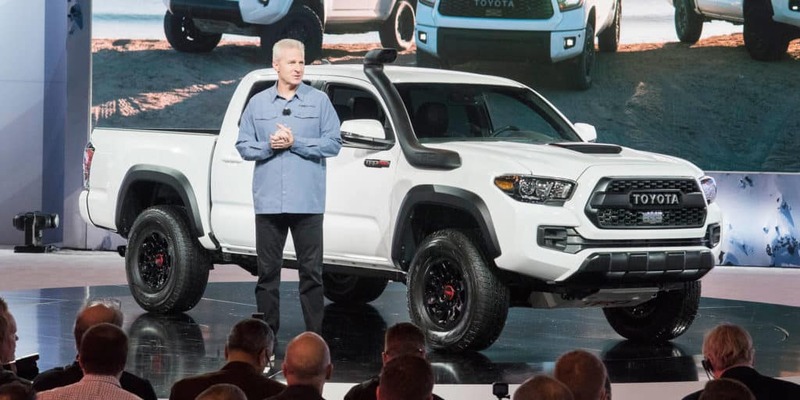 It’s not likely that Toyota will make a new overhauled TRD edition of these vehicles as they are already equipped with off-roading capable features. We could be getting new TRD editions of the N Charlotte Toyota Sequoia, Land Cruiser, or an all-new vehicle entirely. It’s being called a new Toyota TRD Pro Beast and we’re beyond excited to see its arrival tomorrow. The new Toyota Land Cruiser Heritage Edition is expected to make an appearance, bringing with it the beloved rugged luxury this model commands. The new 2020 Toyota Yaris will also be there! This new Toyota economy sedan is returning with a sporty redesign. It’s likely that the 2020 Toyota Corolla will make an appearance at the Chicago Auto Show along with the 2019 Toyota Prius. Hopefully the new hybrid Toyota Corolla will be on display at the show and we’ll get a glimpse into the new Toyota Prius’ AWD-e feature. Tomorrow, the Chicago Auto Show will show us all new Toyota models that are sure to excite and wow drivers everywhere. 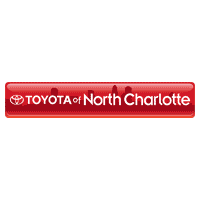 Make sure to check out the livestream and our inventory at Toyota of N Charlotte! We’re located at 13429 Statesville Road and open seven days a week.